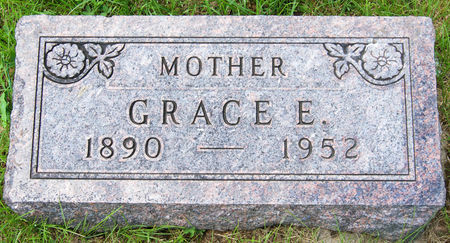 Grace Evangeline Sherbeck, daughter of Sven Sherbeck and Matilda Maria Johnson, was born Jan. 17, 1890 west of Bedford, Taylor Co., Iowa and died Sept. 29, 1952 west of Bedford, Taylor Co., Iowa. She married Roy Ellis Leighton Dec. 10, 1912 at Bedford, Taylor Co., Iowa. Searching for GRACE EVANGELINE LEIGHTON in Taylor County Iowa?